Who doesn’t love a good Po’Boy sandwich? 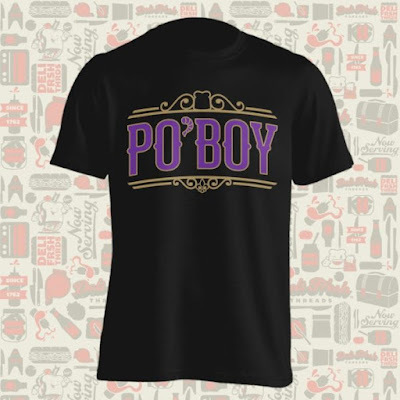 To celebrate this iconic New Orleans sandwich, our friends at Deli Fresh Threads have released this Po’Boy t-shirt! This design captures a taste of NOLA, with the city’s trademark purple and yellow color scheme and the beautiful ironwork of Louisiana. Designed by Kyle Van Cleave of Wild Giant Studio, the Po’boy tee comes on a black t-shirt and is available in sizes S-3XL at the Deli Fresh Threads online store for $24.99.